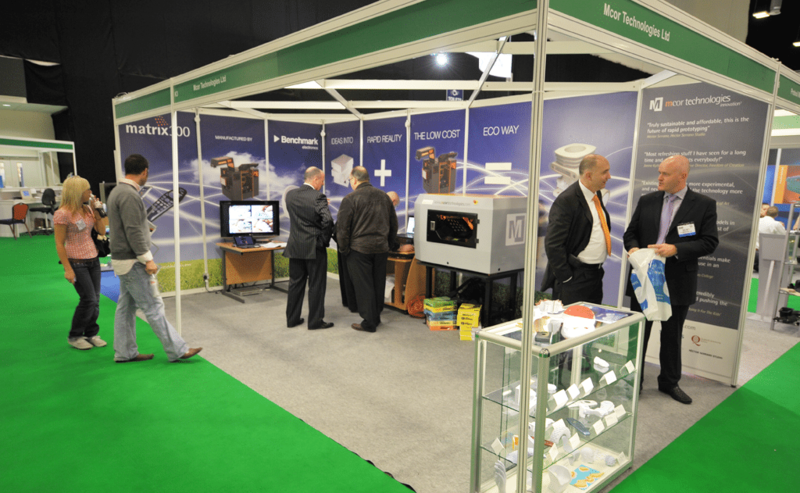 Shown here are various examples of exhibit design we have completed for Mcor over the years. 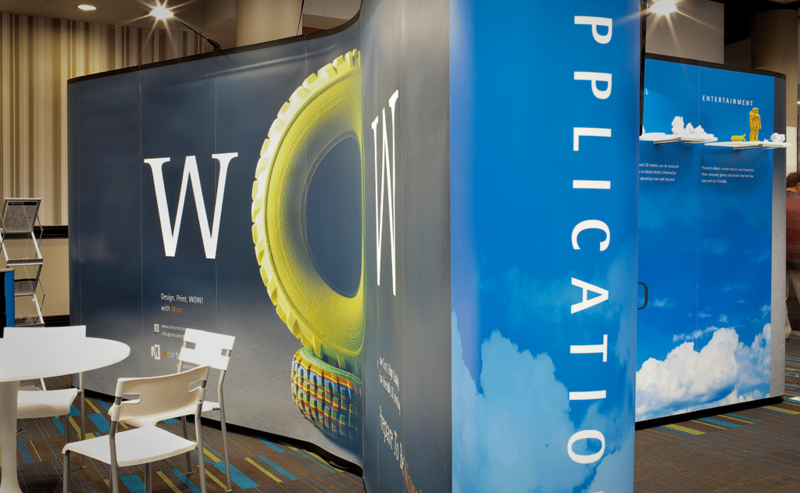 These exhibits are designed to be flexible and portable while at the same time creating a strong and memorable visual impact on the floor of the trade shows. 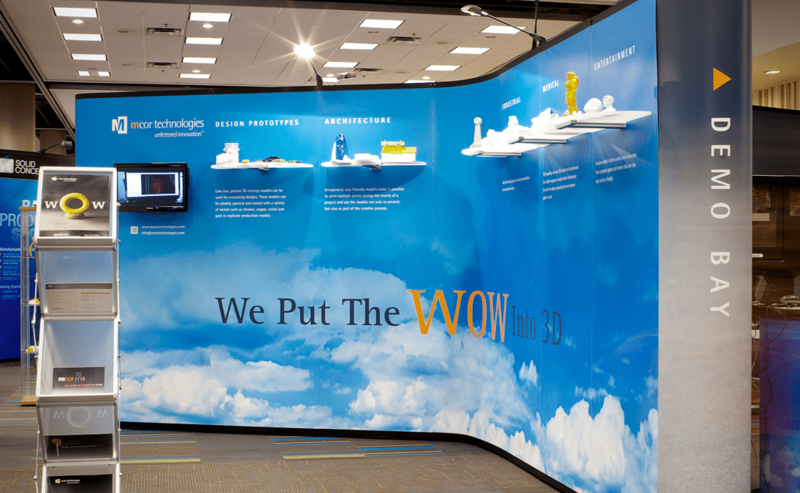 One of the primary goals of these exhibit designs is to attract potentially curious customers to the display where they can learn more about Mcor's products in more detail. 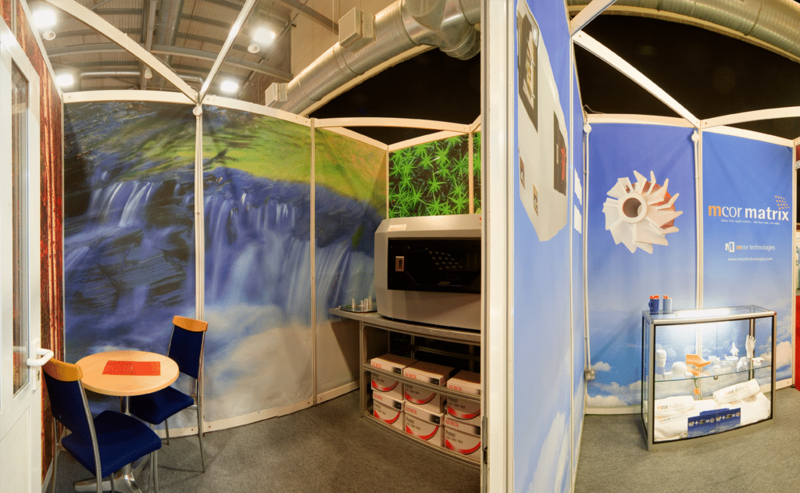 We have designed exhibits for all of Mcor's shows in Europe and in the US. 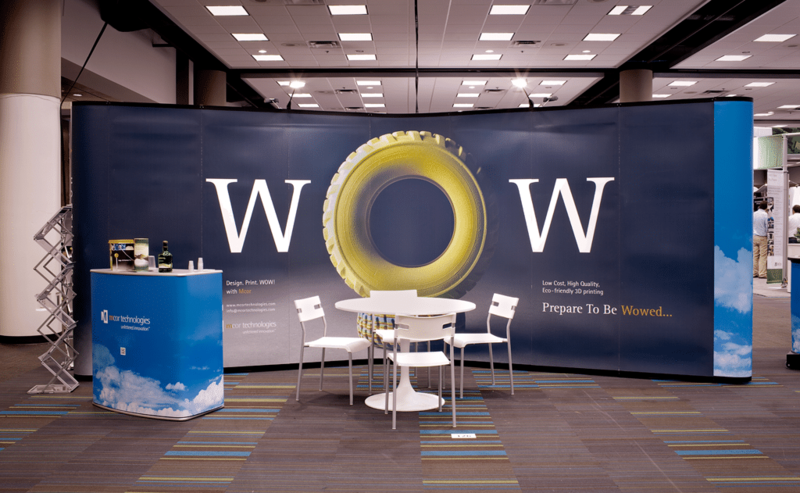 Exhibit design usually entails tight deadlines and defined budgets requuiring us work as efficiently as possible..
Mcor's exhibit design is part of the overall branding we developed for them which encompasses: the Mcor identity, stationary, environmental signage, Mcor vehicles, T-shirts and sundry marketing materials, as well as various dimensional implementations on the actual machines. In addition, we also created their website which utilizes Wordpress for its CMS. Visit the Stories section to learn more about the work we do for Mcor. 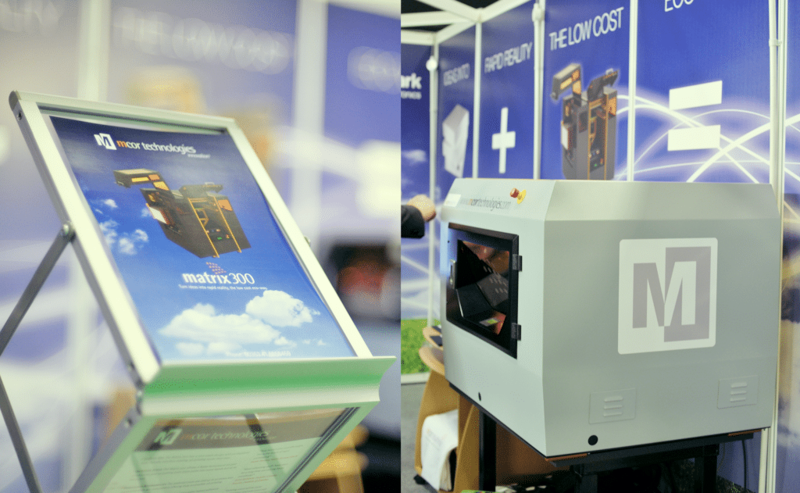 Client: Mcor Technologies, based in Ireland, is an innovative manufacturer of the world’s most affordable, full-color and eco-friendly 3D printers. 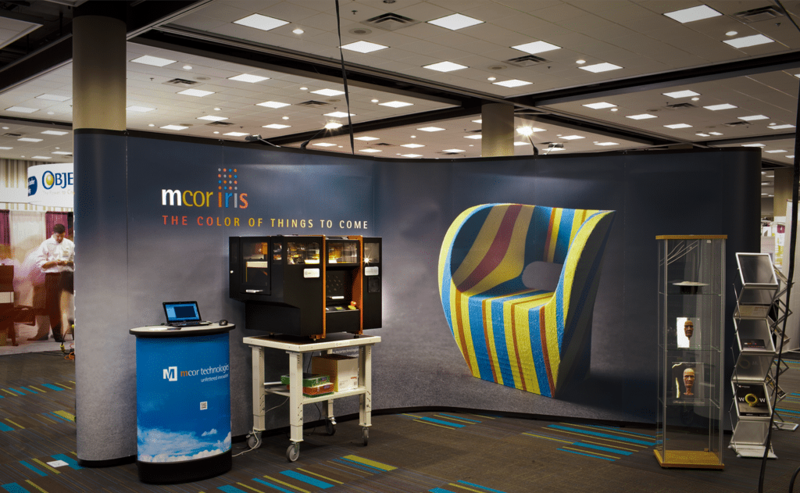 Learn more about our work for Mcor Technologies by reading their Story here.